Statistics from the American Society of Plastic Surgeons, reveal that plastic surgery has begun to see gains in procedures as the economy recovers. The statistics, released earlier this year, found that 14.6 million cosmetic plastic surgery procedures were performed in the US in 2012—a 5 percent increase from 2011. While the popularity of plastic surgery procedures continues to rise, Colorado Springs plastic surgeons like Dr. Dominic C. Foti are letting clients in Denver, Pueblo and surrounding areas know that the plastic surgeons Colorado Springs residents choose, are good options for them too, even if they live in a different city. In fact, according to Foti, they're better options. After doing some research, he determined that the cost of procedures offered by Colorado Springs plastic surgeons including himself, is around 20-30 percent less expensive than the same procedures offered by his Denver counterparts. “I believe that as prospective cosmetic surgery patients find out that the cost of surgery is significantly lower at Colorado Springs Cosmetic Surgery as compared to Denver, they will seriously consider making the 50 minute drive (from Denver) for their cosmetic surgery,” he says. The reason for the differential, says Foti, is due to cheaper overhead costs in Colorado Springs—not diminished services, products or quality. As one of the most dynamic plastic surgeons Colorado Springs offers when it comes to a wide-range of procedures, Foti believes in delivering only the most premium services, products and procedures at an affordable price. His office offers a full range of minimally-invasive and surgical cosmetic procedures, including cleft lip and palate surgery for young children, liposuction, breast augmentation and more. Foti also delivers some of the best procedures for Botox, Juvaderm and Latisse Colorado Springs can offer, for locals and patients from Pueblo and Denver. When it comes to picking plastic surgeons Colorado Springs residents trust Dr. Dominic Foti for his expertise and professionalism. M.D. Foti graduated from Louisiana State University School of Medicine and completed residencies in otolaryngology and plastic surgery. He has more than 28 years of experience and is a member of the American Society of Plastic Surgery and the American Society for Aesthetic Plastic Surgery. 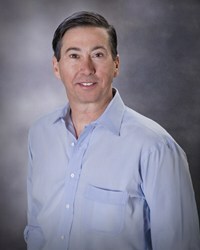 He’s also a board certified plastic surgeon, and in addition to owning and operating his own private practice, Colorado Springs Cosmetic Surgery, he is an associate clinical professor at the University of Colorado Medical Center, and director of the Cleft Lip and Palate Clinic in Colorado Springs.